Daley Blind is moving closer to the exit, as he was not part of the Manchester United squad that flew to the United States for pre-season. The 28-year-old had been linked to a return back to Ajax amid reports from the media that United are set to sell him for £14m, as cited by Bleacher Report; speculation which can only be fuelled further by his absence from the tour. Jose Mourinho has named a very young squad; goalscorer Mason Greenwood, 16, midfielder James Garner, 17, winger Tahith Chong, 18, plus defender RoShaun Williams, midfielder Ethan Hamilton and forward Joshua Bohui, all 19, have all travelled plus 17-year-old playmaker Angel Gomes, who has already made two appearances. It’s clear that Mourinho wants to freshen up this squad with younger faces; plus the introduction of academy graduates will aid the political aspect of his job, because so many of our fans are keen for the club to uphold tradition. By definition, that means there’s less room for older players as back-up and unfortunately for Blind, he comes into that category. The utility man’s exit this summer has been an open secret, as he struggled for starts last term as the manager placed other players ahead of him in the pecking order. 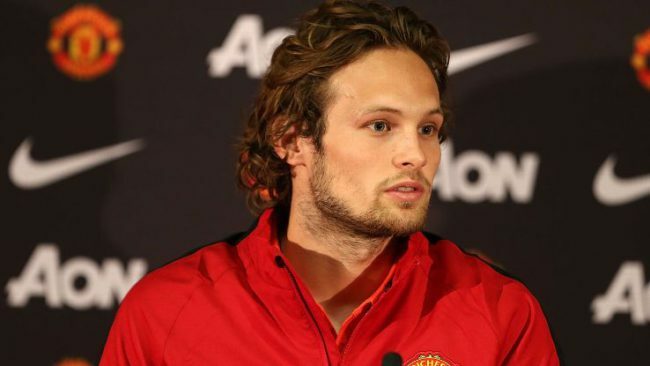 Blind was signed by Manchester United in the summer of 2014 after a brilliant World Cup with Holland. The left-back shone at the tournament and promptly followed Louis Van Gaal to Old Trafford. The player, who can play a number of positions on the pitch never fully convinced Mourinho of his physical abilities. The sheer number of players in his preferred positions meant that he could never become first choice anymore, and has now decided to return to familiar surroundings to rejoin his boyhood club, where he became a household name. In 4 years in England, he has made 144 appearances, winning the EFL Cup, FA Cup, Community Shield and Europa League.